Zhechko Kyurkchiev congratulated his employees. “Tesy” LTD is not only a symbol of the contemporary industry in Shumen, but also a global leader in innovation and in the creation of new solutions for warmth and comfort. The company’s dynamic growth ranks it as a top producer of electric water heaters and domestic heating appliances in Bulgaria and Europe. The company’s portfolio includes 5 factories, over 840 employees, it sells in 54 countries around the world and its production capacity is over 1.2 million water heaters a year. Tesy ranked first as a ‘Favourite brand’ of customers in 2018 among other Bulgarian brands. ‘With enlightened minds and hearts we bring warmth to your life’- this is Tesy’s mission according to its CEO Zhechko Kyurkchiev. Along with his brother Krasen, they founded the company 25 years ago. After a quarter of a century later, they have every reason to be proud that they’ve created a company that stands its ground on the market thanks to innovations and high standards. Tesy’s products are defined by high quality, technical excellency and artful design. The deputy mayor in charge of economic development in Shumen, Rositsa Antonova, read a congratulatory address by the mayor Lyubomir Hristov. ’For 25 years you’ve been establishing high standards in our country and in foreign markets’ -addressing the brothers Zhechko Kyurkchiev and Krasen Kyurkchiev, who are honorary citizens of Shumen. 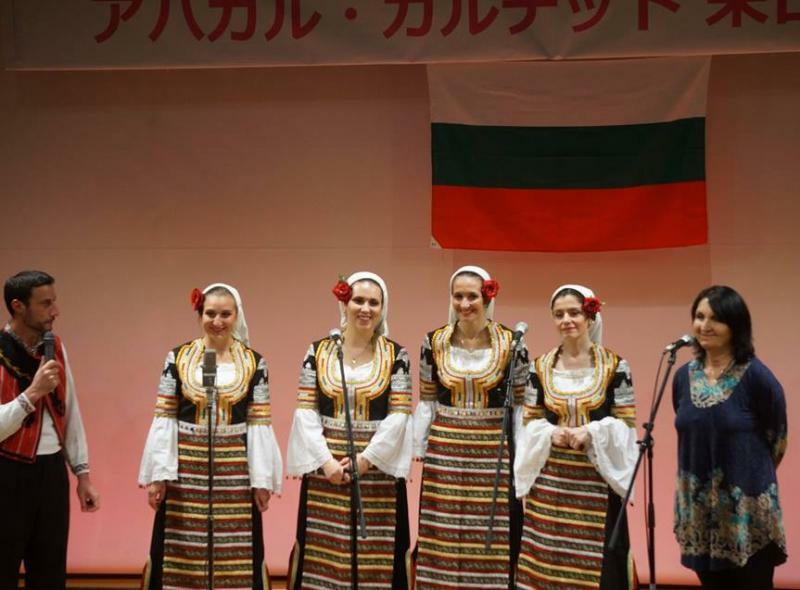 The mayor thanked them for their charitable donations to culture, sport and education as well. On its corporate celebration, Tesy showed that its growth is due to its highly motivated employees. On a big screen, a video of employees was shown singing one of the most energetic songs ‘Great day’. Another memorable event was when a drone took a picture of all the guests at the party, who were arranged so that their bodies would spell the company’s logo as seen from the air. The popular actress Yana Marinova, who led the celebration, announced the next surprise. 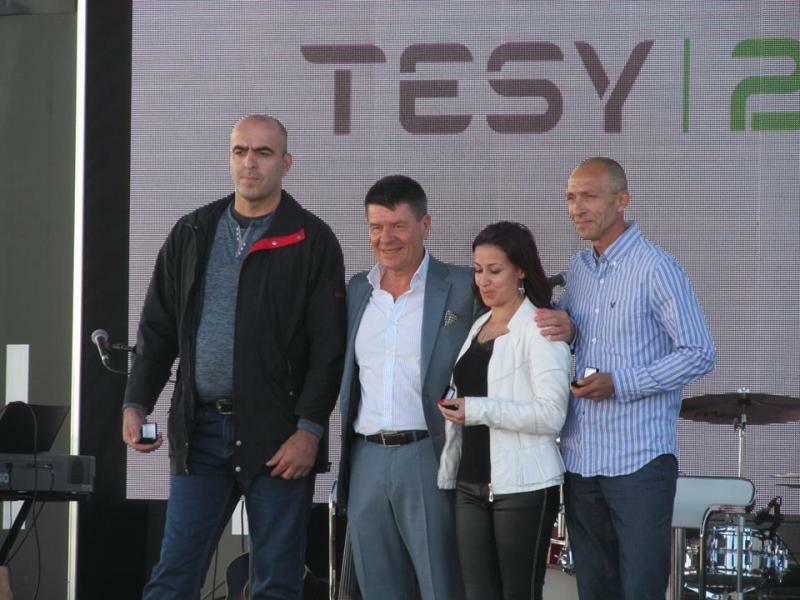 The CEO of Tesy, Jechko Kyurkchiev awarded badges and generous cash bonuses to the long-serving employees of the company. Badges made of white gold were given to the general accountant Rena Apostolova and the sales manager Ventsislav Delchev, who had worked in Tesy for 25 years. Gold badges were given to Krasimira Stoyanova, Stoyan Dimitrov and Pencho Kolev, who had worked in Tesy for 20 years. Silver badges were given to all employees who had worked for over 10 and over 15 years respectively. While playing the happy birthday song, Zhechko and Krasen cut a big cake, and every guest got a slice. The party continued with the rock band ‘The Foundation’ playing some evergreen hits in new acoustic arrangements.